Built in 1866 by London and Glasgow Company, Glasgow. Length 328.5 ft. Breadth 35.8 ft. Depth 25.1 ft. Gross tonnage 2,061. Chartered for three years by the Telegraph Construction and Maintenance Company in 1871 and converted for cable work. 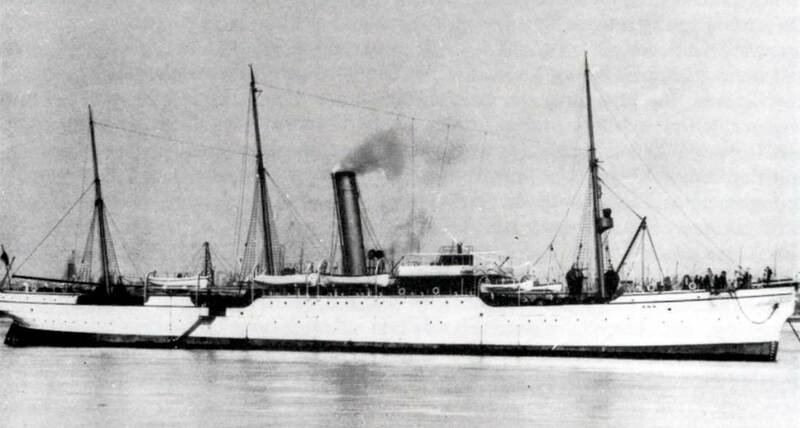 Sold by her owners in 1874 to the Anglo-American Telegraph Company and used for cable repair duties. Leased to Western Union in 1912, remaining in service until 1922 when sold for scrap. 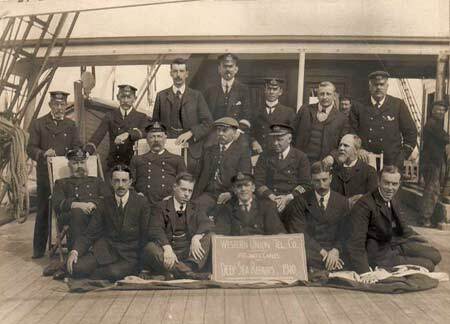 With CS Mackay Bennett, Minia was one of the ships which recovered bodies after the sinking of the Titanic in 1912. In 2012 the History Detectives, a well-regarded program on public television in the USA, investigated an oak portrait frame which the family believed was made from wood from the Titanic recovered by their great-grandfather, CS Minia's Second Engineer, Francis Tierney. 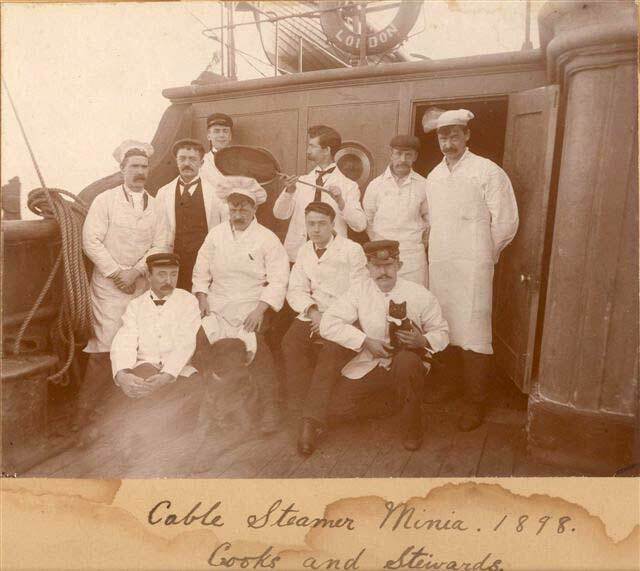 The Atlantic Cable website is pleased to have been able to help with the research on this project. The link above has further information, including a video of the investigation and its conclusions, and images of a moving letter from Minia written during the recovery voyage by radio operator Francis Dyke. 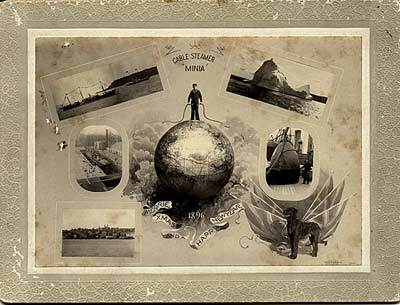 1871 Saigon, China - Hong Kong with CS's Agnes, Kangaroo and Belgian, for the China Telegraph Co.
1873 Porthcurno - Vigo, Spain - Lisbon, Portugal with CS Africa, for Eastern Telegraph Co.
1874 Holland Bay, Jamaica - Ponce, Puerto Rica - St Croix with CS Kangaroo, for the West India and Panama Telegraph Co.
1874 Newfoundland shore end of the 1874 Atlantic cable. Christmas and New Year card from CS Minia. 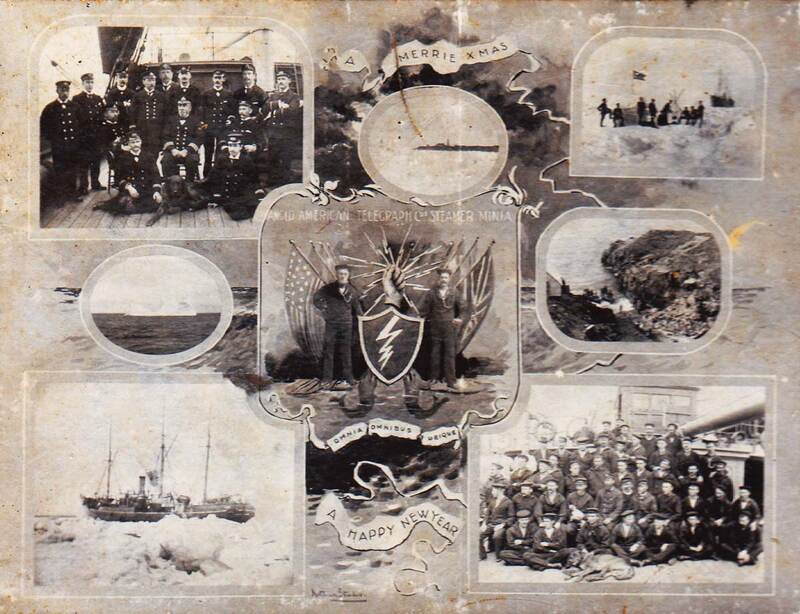 at the lower right of the 1896 card above. is believed to be in the photo at the upper left of this card.